Today was the second school run of the new school semester and it was COLD. In fact, it was so cold that my poor Southern California car was flashing a snowflake symbol at me. 39 degrees fahrenheit people. That’s about 4 degrees celsius. It may not sound cold to you folks in Nebraska or Northern Scotland, but here in Los Angeles that is practically Arctic. So when I got back, I was craving a warm, comforting breakfast. 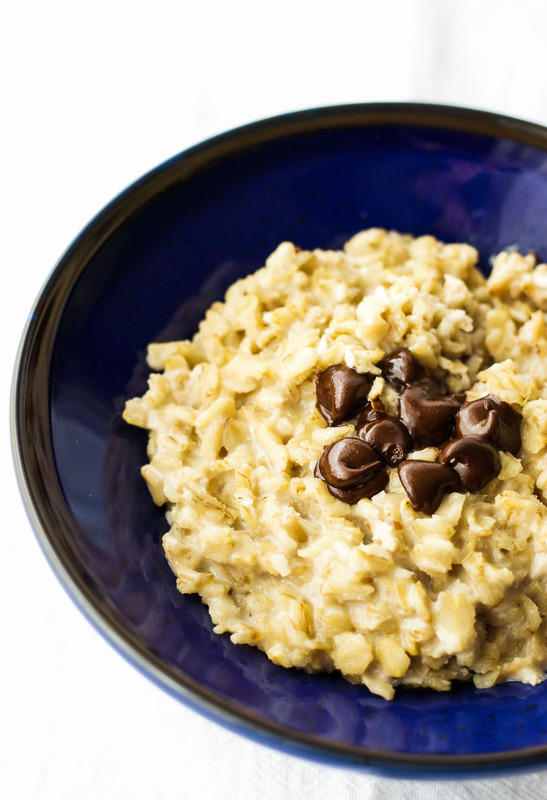 That is what inspired this delicious coconut oatmeal. As you can see from the photograph, it is not quite as healthy as my usual breakfast recipes. The chocolate chips are a bit of a giveaway. 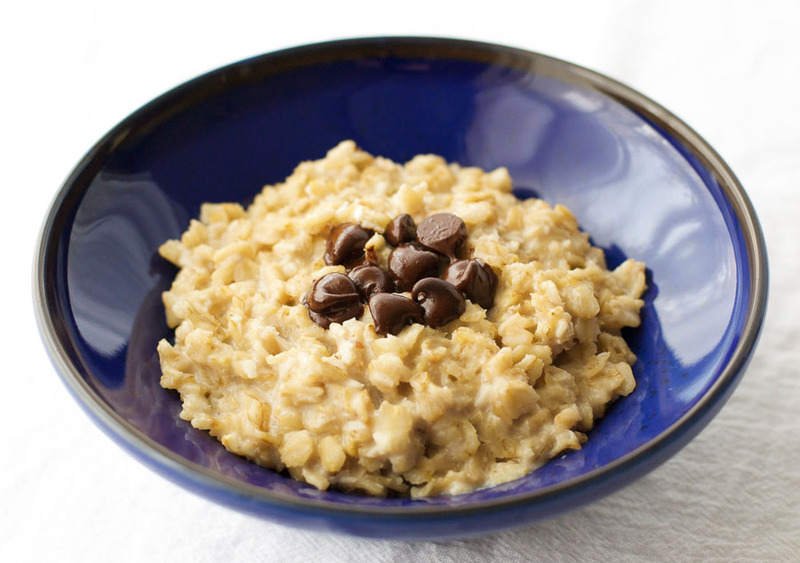 But this coconut oatmeal contains plenty of fiber from the oats and fat from the coconut, both of which will slow down the movement of food from your stomach to your intestines and help you feel full for longer. And sometimes you just need a little bit of comfort food to get you through the day. As I always say, everything in moderation… even chocolate chips. 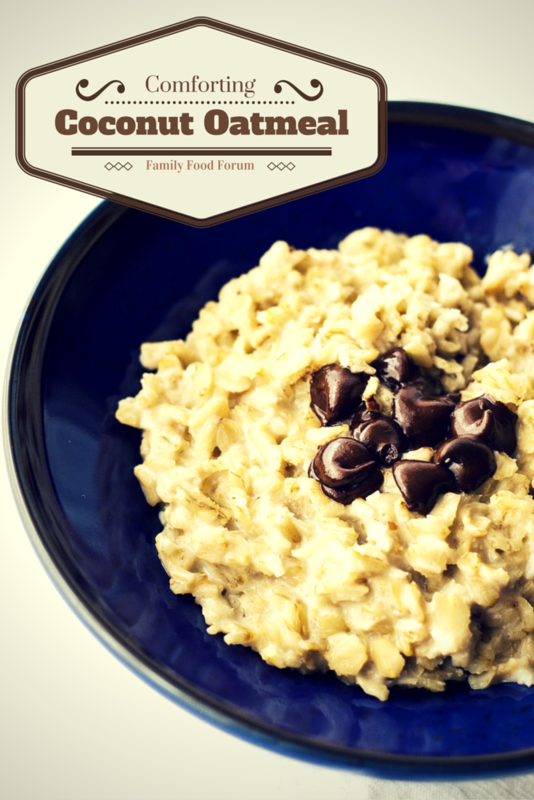 This comforting coconut oatmeal is made with almond and coconut milk, making it vegan and dairy free. Mix the coconut milk and almond milk in a pan and bring to the boil over a medium heat. Once boiling, reduce the heat, add the oats and shredded coconut, cover, and simmer for around 10 minutes, or until the oats are cooked to your liking. Serve topped with a few chocolate chips. I love oatmeal when it’s cold out. 39 degrees is cold for Southern California! My in laws used to live there, and winter was my favorite time of year to visit to get away from the cold Northeast. thanks for sharing your recipe I like the addition of coconut.